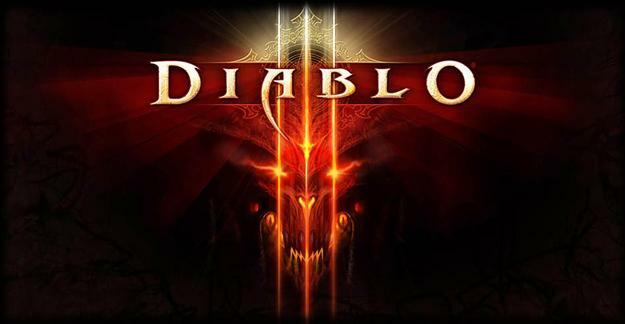 It’s pretty safe to say we are all eagerly awaiting the official announcement and release date of Blizzard’s upcoming sure-to-be-mega-hit, Diablo 3. But according to PC Gamer, it looks like the folks over at Blizzard had to wait for an announcement themselves as one of the more seemingly controversial aspects of the upcoming sequel, its real money in-game auction house, was a stumbling block in Blizzard’s quest to get South Korea’s ratings board to approve it. For those that might not know, Blizzard announced back in July 2011 that it would allow players to officially buy and sell in-game items for real money using the games auction house. Part of this strategy was most likely in response to the amount of “gold farmers” (websites that sell in-game gold for real money) riddled throughout most MMORPG’s like Blizzards other popular franchise, World of Warcraft. However the move has been met with some criticism with gamers and fans alike stating that those gamers with less disposable income would be at an inherent disadvantage when it comes to weapons, items, and armor in the game. While that may be a harsh reality we have accepted in day to day lives, it’s not something gamers generally wish to adhere to in a game, especially when games are meant to transport us from our often mundane and harsh realities. But now it appears that they won’t have to, well at least in the South Korean version of the game as Blizzard has agree to remove that feature altogether. It appears Blizzard was met with some difficulty about the in-game auction house because of its use of real world money to purchase goods. South Korea’s ratings board declared that playing the game with the potential for financial gain is akin to gambling and goes against the countries strict anti-gambling sentiments. If Blizzard wished to see Diablo officially released in South Korea then it needs to comply with local laws and remove the feature, which it has. We don’t imagine Blizzard will be met with the same issues here in the States, but anything is a possibility. For now, we will have to wait and see whether there is a growing controversy over Blizzard’s decision to incorporate a real money in-game auction house and if gamers will ultimately love or loathe it. What do you think about Blizzards plans for a real money in-game auction house? Let us know in the comments section.